Chanting is a tool that many of us either know very little or nothing about and just simply don’t realise how important this simple act can be. It is simply the rhythmic sound of your voice. This can be speaking, singing of words, such as one word, a God or mantra, or a sound and is more often than not one or two pitches that are called reciting tones. But it can also be simply the repeating of one or two of lines of a song. It can be used for reasons such as meditating, spellwork and raising inner energies. This article really is just touching on the subject. It is as fast as it is powerful, so lets start with Om. 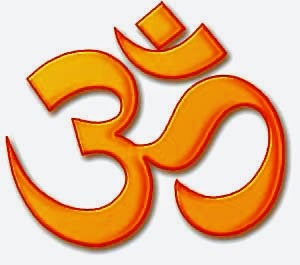 Om is one of the simplest chants/mantras and is of Hindu origin. When you say this word you start with O and draw it out for a few a minute or two before ending with Mmm. So it is Ooooooooommmm, but not pronounced as a Uuu sound as we would normally do. Here’s a an example of the sound on Youtube . Though a simple sound it is incredibly powerful. When done correctly it vibrates through your whole body, especially your skull and chest. Chants can be a powerful tool during ritual and spells too. But they can also be an incredible cleanser of the mind, body and soul, especially before you start and should never really be overlooked by us. It is also free. It is simply you and your voice. And if there is a group of you chanting at the same time the energy is beyond measure. It is both powerful and often very moving. 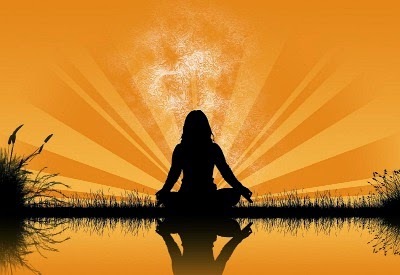 When many of us thinking of chanting our thoughts immediately go to Buddhism, but you will find it in many of the mainstream religions and of course Paganism, from Wicca to Heathenism. As I said earlier it can be used during your spells. It helps to raise the energy, focus yours thoughts and intentions as well as giving extra power to your spell. Sometimes all we will do is a chant such as this simple chant for healing grief and pain that can be said aloud or or inside your head whilst you are out walking on a misty or rainy day. You keep repeating this until you feel calmer and do remember to thank the rain and wind for this healing gift. Here’s an interesting article Why Do We Do Spell Chanting. You will find some pagan chants that for me feel more like a prayer as they are multiple paragraphs. The whole point of a chant is that it is a repeated word, phrase or sound. If you start adding multiple paragraphs it is simply a prayer and loses the power of a chant. But you can, as I said, take a song and just use a couple of lines and keep repeating them. for example ‘We all come from the Goddess’ by Moving Breath. Here are the full lyrics and here is the song on Youtube to give you an idea of rhythm. When I sing it I draw out the word Ocean. Here are a few more examples of Pagan Chants you could use. I have also added the Youtube links so you can hear them. These are just a few examples of what I feel are chants as opposed to prayers. To find out more simply use the powerful tool Google. And don’t just use chant as your search but also Mantra and Affirmations as affirmations are often short and make ideal chants. And before I leave the subject a little something of tools. When we meditate, we often have such aids as candles and incense. Chanting is one form of meditation and so shouldn’t be treated any differently. You can also use mantra beads to help you keep a count, with out the need to physically count, if you intend to chant for some time. 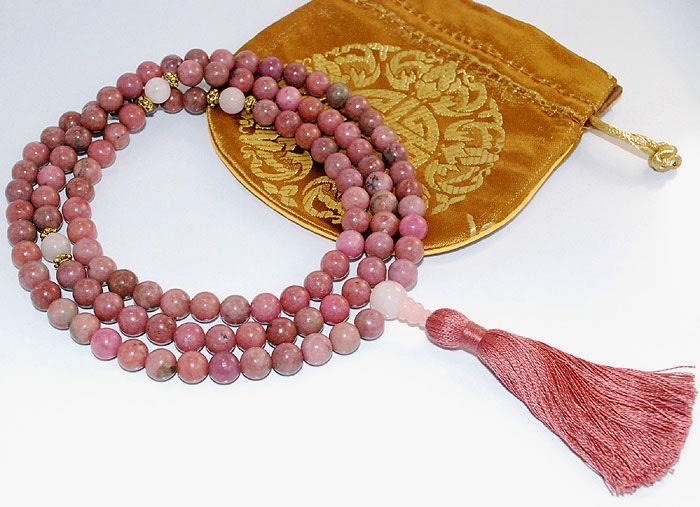 Mantra beads or prayer beads can be found on both Amazon and Ebay at very reasonable prices. These can have as many as 108 beads, but you can purchase smaller ones too. 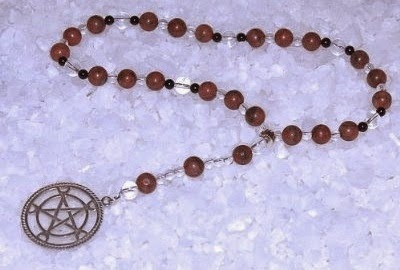 And do try Pagan Prayer beads search as this may help you to find something more suitable to your needs. Also, once you have seen a few examples of chants and mantras, try writing your own. Just remember to keep them simple and only a few lines. Too many lines and you’ll lose it’s power.